Since my last blog post, I have made an incredible amount of progress in terms of surveying and interviewing members of the Riverdale/Kingsbridge community. 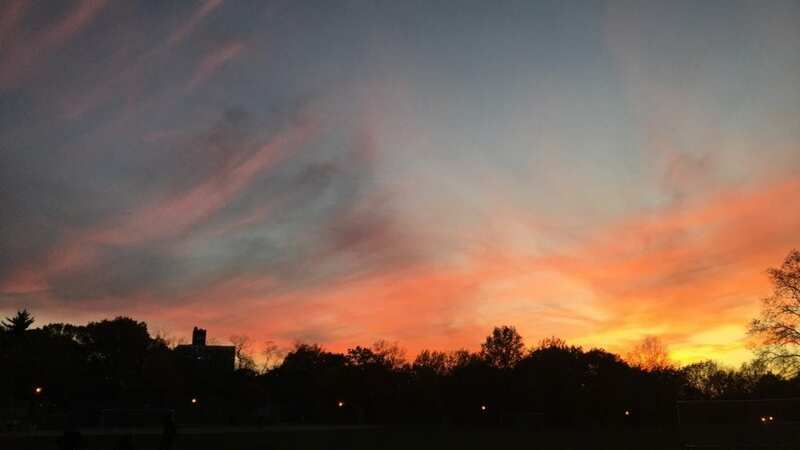 At first, I mainly focused on surveying general park goers of Van Cortlandt Park as I tried to figure out the best way to find residents who would qualify for my interview. My interview consisted of 17 questions, and each one took about 30 minutes to complete. From the responses I received I have been able to gain a better sense of how educated Bronxites are on coyote ecology in the area. From my study, I’ve learned that the amount of knowledge of coyote ecology is very varied. One interesting finding from my data is that while many residents believe that coyotes, wildlife in general, and nature should be treated with respect and cared for, some also believe that coyotes in particular should be removed or don’t belong in New York City. I am very curious about looking into this discrepancy further as I progress with my analysis. Another theme I’ve noticed is that language indicating fear, curiosity, and/or uncertainty appeared frequently in responses. The data I have collected has shown me that there is a very large gap in information about coyotes, despite previous and current efforts from the Parks Department to educate people about this species and other wildlife in the region. 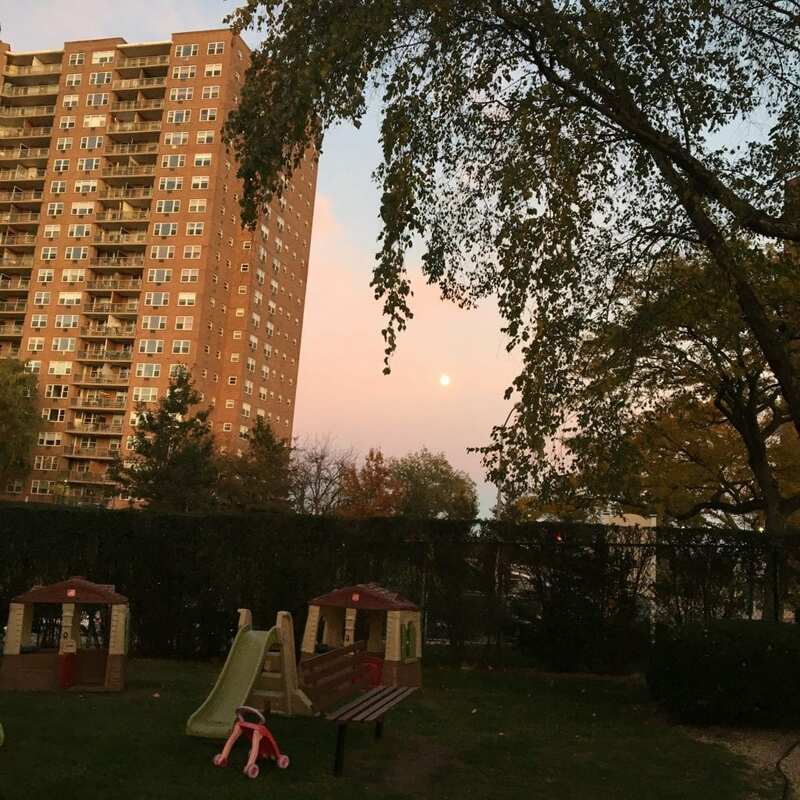 North Riverdale building complex where coyotes have been spotted by residents in previous years. 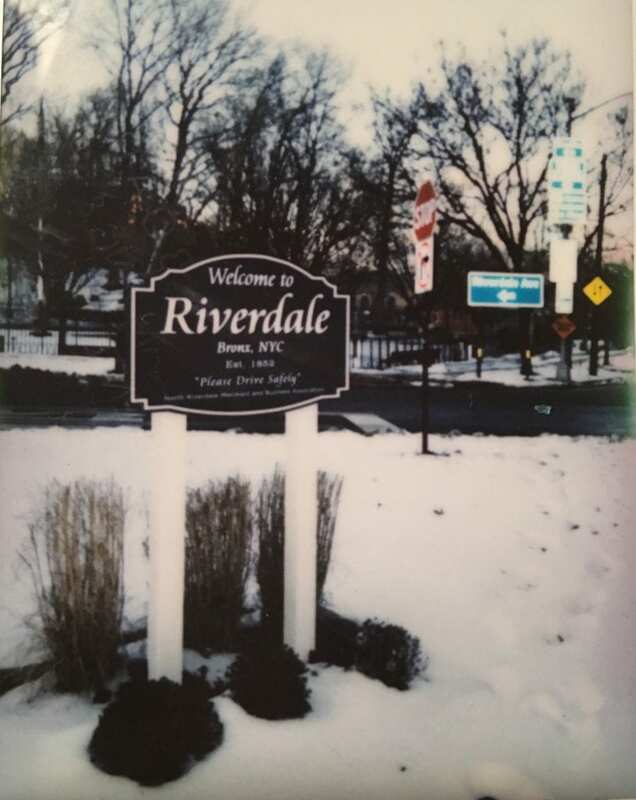 Polaroid picture of North Riverdale. As a result of the data I have collected, I am very interested in looking more into the specific steps the Parks Department used previously to educate Riverdale/Kingsbridge residents about coyotes. This project has definitely confirmed my thoughts of the importance and efficacy of using direct community engagement as a means of educating people. 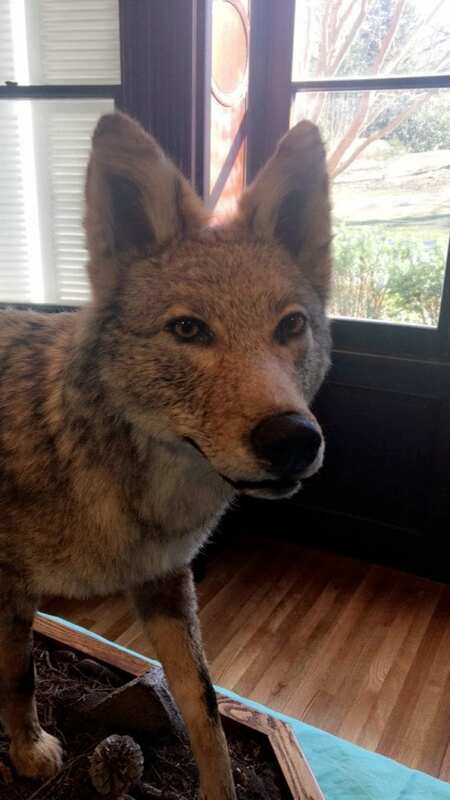 Several interviewees expressed that they have very little information about the ecology of coyotes, and that therefore their perceptions are based on opinions rather than on ecological awareness and scientific fact. A few interviewees also expressed that they were open to changing their opinions if they were given the opportunity to learn more about the ecology of coyotes in the Bronx. This project has strengthened my interest in wildlife education and has encouraged me to possibly work with the Parks Department, and specifically their Wildlife Unit to educate more people on coyote ecology. I am also now very interested in how and if the responses of Riverdale/Kingsbridge residents would change if they were provided with a more accessible way of learning about coyotes in the area. View of woods in South Riverdale. Can Coyotes Be New Yorkers Too? This summer I will be working with Dr. Toomey on a project focused on coyote perceptions in Riverdale and Kingsbridge, New York. Riverdale/Kingsbridge is a small section of the Northwestern Bronx, which borders Yonkers. 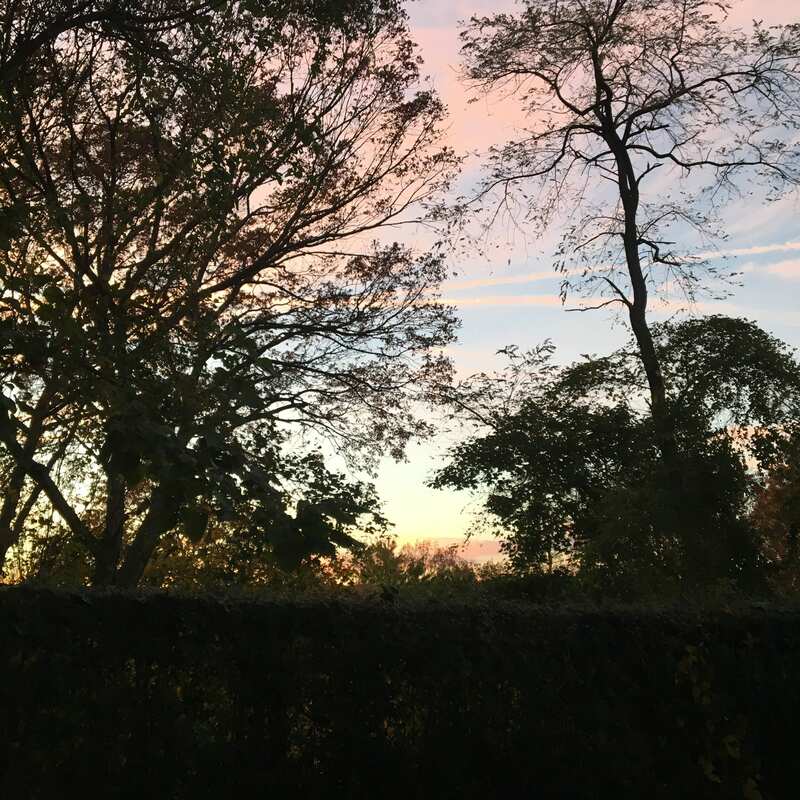 Having grown up in Riverdale, I am particularly interested in learning more about my own community and how residents view local wildlife and nature. I was first made aware of coyotes in the Bronx in 2014, as I was involved in Wave Hill’s Woodland Ecology Research Mentorship Program. At the time, I barely knew what a coyote looked like, let alone that I lived amongst them! In the years following, New York City’s Wildlife Unit made efforts to inform New Yorkers about local wildlife through a series of bus stop advertisements. However, if I hadn’t been involved with the Gotham Coyote Project, I would have had very little knowledge of how to deal with urban coyotes. Although I have never seen or heard coyotes in my neighborhood, I know that several residents have seen them. The idea that some residents have seen coyotes in the area, while others may still be unaware of their existence is incredibly interesting and has made me very passionate about discovering what knowledge base and opinions members of my community have in regards to coyotes. The title of our project is currently How Do Bronx Residents View Their Natural Surroundings? The purpose of our project is to gain further insight into how Bronx residents view their urban surroundings in terms of nature and wildlife. We hope to expand on previous surveying of Bronx Van Cortlandt Park goers to more in-depth interviews of local residents. From these more intensive interviews, we hope to get to the root of and learn more about the nuances of Bronxites’ opinions of their local environment, coyotes, and wildlife in general. Through our research, we also aim to have a better understanding of how well educated Bronxites are on coyotes. By interviewing and surveying residents, our goal is to continue to spread awareness of local wildlife ecology in a positive manner, in the hopes that increased education and awareness will help to quell fears of coyotes and prevent negative human-wildlife conflicts/interactions. To achieve this, I devised a list of 17 interview questions which were designed to potentially reveal deep-seated feelings and opinions of nature, wildlife, coyotes, and New York City’s urban ecology. For this project, we will be interviewing long-term New York City residents who reside in the Bronx. It is important that we interview native community members because our research is very specific to the area. Interviewing residents or park-goers who aren’t native to the area may alter our results as their opinions may be influenced by the environments they were raised in. The Riverdale/Kingsbridge section of the Bronx, where our research is located, is very tight-knit, so we are using chain sampling or “snowball sampling” to recruit interviewees. This method of sampling will potentially help us in ensuring that our interviewees are native Bronxites and are willing to undergo the interview process. To analyze our data, we plan on using qualitative coding, which will draw out key themes that emerge from the interviews. Author Tatyana GrahamPosted on July 16, 2018 Categories Summer 2018, Tatyana GrahamTags Tatyana GrahamLeave a comment on Can Coyotes Be New Yorkers Too?